Holidays are expected to be a fun, relaxing and calm time of the year. Sometimes however, children find the change in routine and environment difficult to manage. Here are just a few ways to help your young children manage the holidays. 1. Schedules and routines: Routine is important for children to be able to manage their feelings by knowing what to expect. At school, children are given a daily structure and routine. During the holiday time when children are at home however these routines are often different, or absent altogether. It is important for moms and dads to try to keep a regular schedule, especially around meal times and bedtime. This makes sure that a child’s rhythm continues without any serious disruptions. Often, children struggle when there isn’t the structure that helps them know what’s happening at different times of the day. A daily schedule of each day’s activities can help to prepare children and avoid unnecessary tantrums. For younger children who enjoy drawing, they can draw pictures to remind them of what is going to happen in the day ahead. Each day should have at least one activity, goal or chore. A child who gets bored or lonely will become irritable and more prone to act out. 2. Coping with social outings: Many families also spend time with their extended family during the holiday period, sometimes in different provinces. These kinds of family holidays involve attending parties, going to church services, having new people staying in the home, or staying in someone else’s home. Some parents believe that their children should be able to cope with these situations. These social experiences however, can be very difficult for children, especially those who are shy. Parents can help their children cope by preparing them for what to expect, or adapting the situation to something more manageable. For example, a child who struggles to play in larger groups can be taken aside with just one or two cousins instead of the larger group. 3. Gifts: Gifts can be the cause of some difficult emotions for children, such as jealousy and disappointment. If there are financial strains in the family, it is important to be realistic about gifts and this time can be used as a helpful space to talk to your child about the value of money. 4. Encourage your child’s strengths and get them involved: Children can also struggle with their self-esteem during the holidays if they compare themselves to their peers. During the holidays children may hear praise for their cousins’ or sibling’s achievements (such as getting school awards). Parents can help their children manage feelings of competition and jealousy by ensuring that their child’s strengths are emphasized too! Children also get a boost to their self-esteem if they are given a special job at the family gathering, such as helping set the table or drawing in Christmas cards. 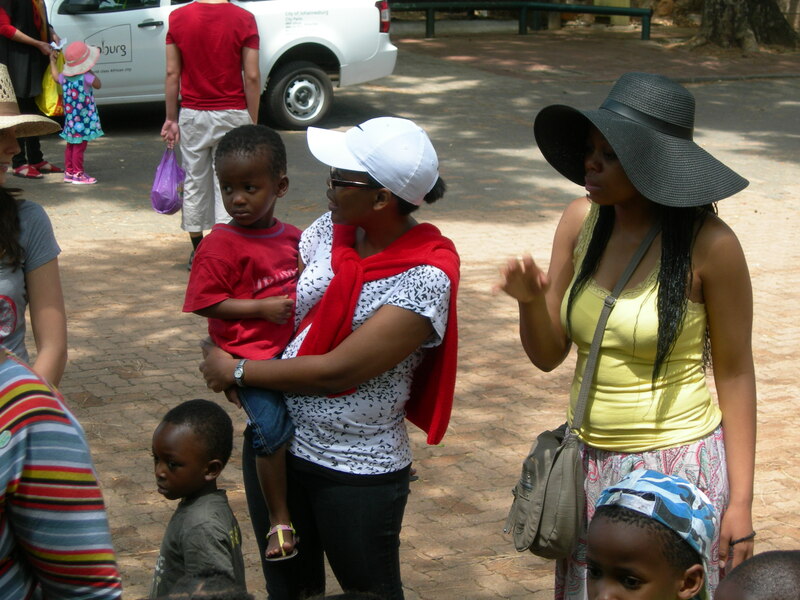 This helps children feel valued and involved in the family holiday experiences. 5. Avoid overstimulating your child: Although many family outings can be exciting, an over-stimulated child can be hard to manage. Make sure to keep an eye on your child and when he or she starts to give signs that they need a quiet space or a break from a game. It is important as a parent to have a realistic and age-appropriate expectation of what YOUR child can manage. Too much of anything can feel exhausting and overwhelming. 6. Help your child prepare and plan: If you are travelling for the festive season, it is important to prepare a child for what being away from home might be like. You can even ask your child what favourite outfit, toy, game or a snack they would like to bring with, to make the adjustment an easier one. This lets children practice important skills such as planning, decision-making and making choices. Holiday time can often feel rushed and busy, with many family occasions, travelling and a change from the daily school routine. Your children need mom and dad’s help to manage with these exciting, but also at times overwhelming experiences. So our Christmas wish to you from Ububele, is time to reconnect with your family and your children.